The English media has a long history of alarmist declarations about Rooney’s career. According to White, Rooney peaked five years ago. But the summer of 2010 wasn’t a particularly happy period for Rooney. After England was eliminated from the World Cup, the press turned against the team’s star forward, attacking his on-field performances and questioning his temperament and leadership ability. In the Daily Mail, Piers Morgan labeled Rooney an “overblown, overpaid, overhyped halfwit.” It wasn’t the first time Rooney had received vicious post-tournament reviews. The now familiar drumbeat of criticism – laziness! immaturity! squandered potential! – began in earnest in July 2006, after Rooney’s infamous stamp on Ricardo Carvahlio. Tabloid journalists follow a predictably ruthless playbook. They heap unearned praise on promising players, laying the foundation for future stories about failure and wasted potential. The current media frenzy marks the latest chapter in a largely artificial drama that has nevertheless dogged Rooney throughout his Premier League career. Presumably, Rooney has by now inured himself to the delirious excitement and righteous outrage that fill the sports pages every weekend. He publicly acknowledged his lousy performance against Aston Villa, and United coach Louis van Gaal lauded his honesty. “He has to admit he was bad, and then he can improve,” van Gaal said. That’s how experienced players respond to setbacks. They admit their mistakes – but also put them into perspective. Rooney has always been an inconsistent goal-scorer. It’s a frustrating but somehow vital aspect of his singular genius. 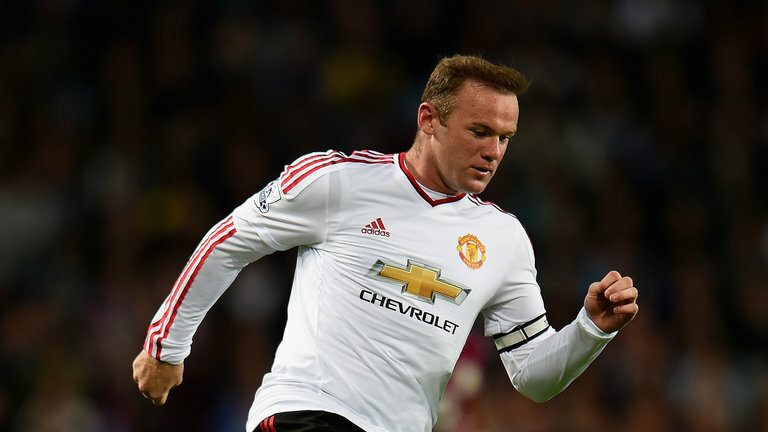 “Everyone’s all over it,” Rooney complained after Tuesday’s game. “I’ve had that all throughout my career.” His recent misfires don’t signify the beginning of the end. They merely highlight the intense, often unfair scrutiny Rooney has faced since day one.